When Donald Trump went after Ghazala Khan for standing silently beside her husband as he spoke about their son who was killed in the Iraq war, suggesting she was somehow forbidden to speak as a Muslim woman, other Muslim women around the world began posting on Twitter, sharing their speeches and outspoken moments with the hashtag #CanYouHearUsNow. 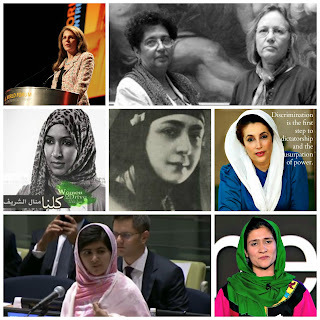 That prompted me to dig into the rich resource of The Eloquent Woman Index of Famous Speeches by Women, where we have eight great examples of stirring speeches by Muslim activists, mothers, educators, a queen, and a prime minister. They range from TED talks to United Nations addresses, and keynotes at feminist and human rights conferences. But none of these are silenced women. Aicha el-Wafi, mother of one of the 9/11 attackers, spoke about forgiveness in a joint, powerful TEDWomen talk with the mother of one of her son's victims. Queen Noor's 1996 speech at the Kennedy Center noted what she's doing to support women's voices, and lamented that her hair and her wardrobe often get more coverage than her own message. Shot in the head for speaking out, Malala Yousafzai spoke after her shooting for the first time, to make it clear she intended to continue. A short, but moving and difficult, speaking challenge. Shabana Rasij-Basikh's TED talk on educating Afghan girls shared how she had to go to school disguised as a boy--and what she's doing to make sure that doesn't have to happen anymore. 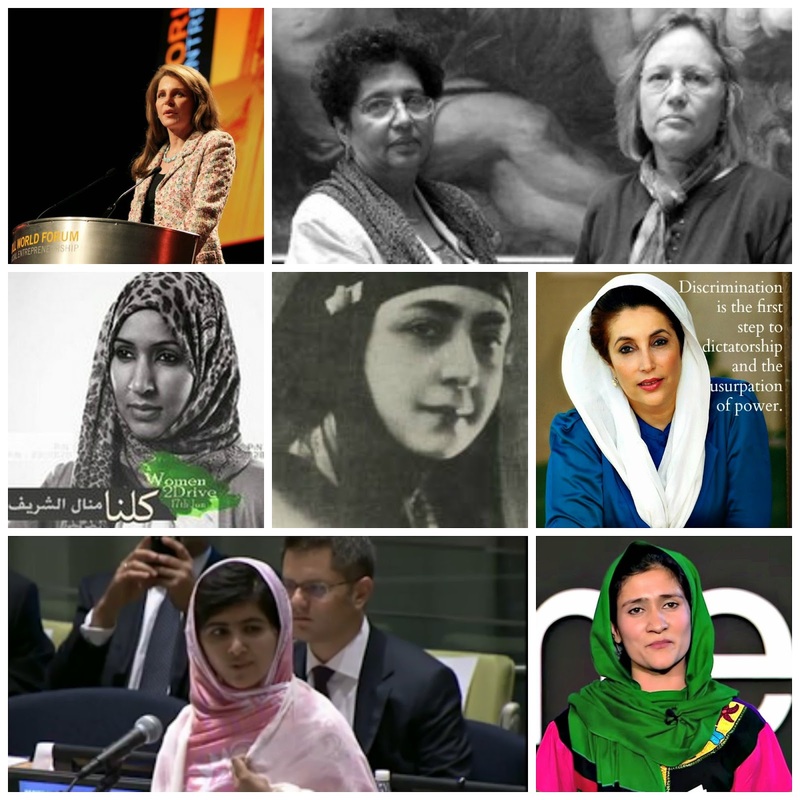 Benazir Bhutto's speech at the UN Conference on Women in 1995 made clear that sexism results not from Islam, but people who misinterpret its teachings. "Muslim women have a special responsibility to help distinguish between Islamic teachings and social taboos spun by the traditions of a patriarchal society," she said. She would've loved the hashtag. Huda Shaarawi spoke at the 1944 Arab feminist conference, in a short opening set of remarks that honored her place as an early fighter for women's votes and voices in the Arab world. Activist Manal al-Sharif spoke about her illegal driving in Saudi Arabia, after defying a driving ban and posting video of herself doing it on YouTube. But she gave this speech outside the country, becoming an important voice for Saudi women in the process.